Pollyvote still has Herself ahead, but the gap is narrowing. 538 had Trump moving ahead at the end of last week, but it has now reversed. I have to vote for the academic, whom someone really does not like. There are few thought leaders who have influenced my work as much as Scott Armstrong, but the election will be decided by state-level polls, not by the two-party popular vote. Silver's model is a direct implementation of the work of Andrew Gelman on Bayesian Hierarchical models. You cannot teach school in Mexico if you are not a member of the SNTE - the Mexican Teachers Union. If the SNTE does not like you, they send their friends from the CNTE - the non-profit foundation for Mexican education. The CNTE's favorite tactic is to block the public highways. Right now their focus is in the province of Oaxaca. Their "cause" is a 2013 law that, for the first time, actually required teachers to have qualifications. This has been attacked in the Mexican press and legislature in the same way Grant's civil service reforms were - by accusing the reformers of being corrupt. How dare anyone demand to know where the money has gone and how it was spent. The reformers will have a way to go to catch up with Elba Esther Gordillo. Will someone tell Shiller and his followers that p/e's must be considered relative to interested rates. The value of an annuity growing at g is 1 + g /(1 +i) times a factor or two. Thank you. Anyone who doesn't accept this isn't in the present moment, which is the most inflective moment in finance in my lifetime so far, and few moments in history with more opportunity and peril. Interest rates are where they are on the planet because there is cash in such ample supply no one is willing to pay a damn thing for it. Sitting on it, not exposing it to risk, is to expose it certain loss. Anyone getting their mailboxes stuffed with all kinds of institutions begging them to borrow money? This money must find propositions of some degree of risk, or it loses with certainty, every equity, every damn wigwam out there, everything is starting to shake and we've never been in a situation where a FACTOR of cash, a FACTOR that is measured in significant digits, is coming downstream. The Rise and Fall of American Growth by Robert Gordon is a great book that is worthy of space in your library, but at 650 pages this is not summer reading. 1. The great inventions are only made once. 2. GDP increase did not measure the value of the improvement in living. 3. Baumol's disease–a Mozart quartet always requires four players. On the other hand, records, tapes, CDs, DVDs, and ipods cure (or nearly cure) the disease. I wonder how this cure applies to education and to illness detection and correction. 4. Perhaps the greatest invention was the written language. The movable type printing press enabled widespread literacy. Geniuses developed and communicated to the world. The Internet is more important than the movable type printing press. Dr. Marshall Greenblatt, "The Internet will increase the number of geniuses available to the world by a factor of ten." (1995) Einstein was born in 1879. The world population at that time was 1.2 billion. Today it is 6 times larger. Therefore, the frequency of an Einstein level intellectual capability is 60 times what it was in 1879. The Internet was introduced only 25 years ago and it is still spreading. A genius born today in Western China probably has access to the Internet and can exercise and improve his or her innate genius. Chrome book $149. One impact of the Internet is that education of children will be taken out of the hands of the government. The changes will be both incremental and total. An incremental example - much music education it already done outside the public school system. Some of the changes are total. At this time, 3% of the population is home schooled. Private schools account for 10% of the population. Enterprises and governments will hire certified employees (CPA, PE, Cisco and Microsoft). Other certifications will be obtained outside the public school system. There are numerous examples of the Internet increasing communism – the good kind such as Wikipedia and Linux. These are examples of equality of access not the equality of outcome, which is the target of socialism. -Simplify the tax system I don't expect much progress on the policy recommendations above. Nonetheless, I think that the Internet is such a powerful invention, that the growth rate over the 2015 to 2050 period will be about 2.5% - range 2.0 to 3.0 – even with low productivity growth and low world population growth. Costs of education, illness detection and illness correction will collapse resulting in significant improvement in the standard of living even with low economic growth. The usual publishing quibble. Gutenberg's extraordinary invention did NOT lead to an explosion of literacy but to an explosion of book collecting among the already literate - the teachers, monks, and other clerics. For the first 50 years all the books printed were copies of Latin manuscripts and new works written in the same language. Literacy only grew after broadsheets became widely circulated and that had to wait for the invention of cheap paper and less expensive inks. This is a very good article on haggling, and how it actually reduces the price of cars: "Why Do We Haggle for Cars?". Haggling with automobile purchases is a stepchild of horse trading. The events in Turkey bring to mind the Revolution in the Park. The wikipedia article has the politics all wrong (Celman was no more "conservative" than Erdogan is), but it will have to do as a point of reference. The comparison between Argentina in 1890 and Turkey in 2016 - like all historical analogies - is only useful for finding what I think Vic and others mean by "the drift" - the compass direction in which Time's arrow is pointing. What makes the comparison interesting for me is the history of foreign exchange dealings and the subsequent Baring crisis. That crisis in Europe is what brought on the Panic of 1893 here in the United States. There are real parallels between what has happened in the Middle East over the past 25 years and what happened in the region surrounding the Rio de la Plata in the 3rd quarter of the 19th century. There was a succession of nasty and utterly stupid territorial wars over mineral wealth - the worst of which had the same coalition of the self-righteous that glorified Bush I's war. There are also real differences. Argentina in the decade of the 1880s enjoyed large immigration and, with that, persistent transfers of money by the immigrants to their families back home. 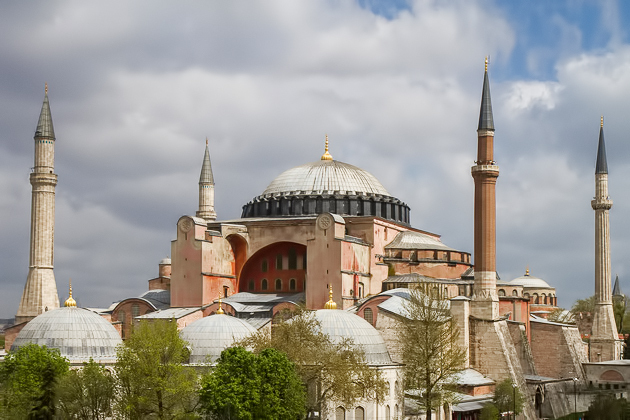 For Turkey the money flows have been in the opposite direction. What has been the same is the rise and fall of belief in a supposedly new "modern" nation. Just as Turkey has, until recently, enjoyed enthusiastic support from the moneyed interests for its joining the EU, Argentina was the darling of the City of London during the 1880s. Under Roca the country had adopted yet another currency reform, this one to put the peso on the international gold standard. (This meant you could ask for gold coin in exchange for paper money at a fixed rate - something the world has not seen now for 84 years.) Even as the country suspended convertibility in 1884, people continued to believe in the investment prospects for the river Plate. By 1885 the paper peso had risen to 134% of par, and Roca's government had been replaced by Celman; but the flow of funds into the country actually accelerated. (The argument was, then as now, that currency depreciation made the country more competitive and its businesses more profitable.) Even as the Turkish lira has declined from .45 to .3 Euros since the end of 2012, "belief" in Turkey as the next member of the EU has continued to rise. The suggestion by Brexit supporters that adding a poor Muslim country might not be such a great idea was taken as proof of the fundamental economic and political ignorance of the backward English. Those in the City who had questions about the profitability of buying Argentine railway bonds in 1887 faced similar scorn. If the lira now goes to .24 to the Euro, it will only be matching the performance of the peso under Celman. By 1889 it has fallen to 191% of par. When the full crisis hit the following year, it crashed to 387%; and Barings failed. In business, sports and pleasure making the weakest link of what you practice your strength lets you outperform the rest. Take sunglasses. I see people walking in the desert on shiny 110F days squinting behind their $90 Foster Grants. They fall short while I keep on going for hours. The reason is not fitness, overheating or hydration. It is their weakest link of the sun in their eyes. 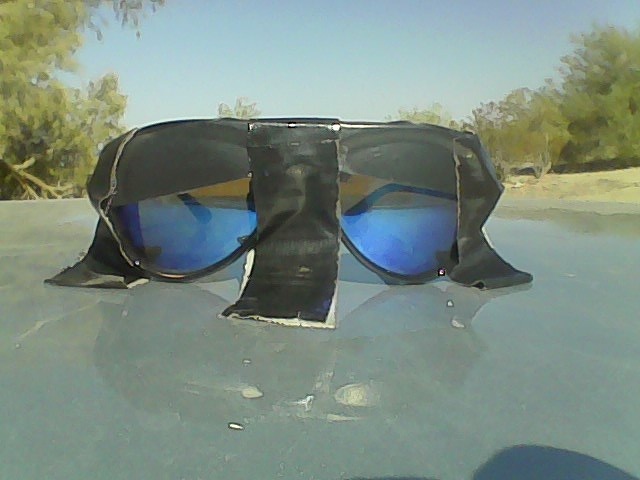 I took a free pair of 3D glasses after watching 'The Jungle Book' in 3D into the desert and customized them as follows. I put a strip of black tape across the top of the lens to allow light to enter the bottom two-thirds equal to a baseball cap shade brim. Then I put side tape like horse blinders to block that light. And I added a nose strip to prevent cancer. I can walk all day in the sun with relaxed eyes and face which used to be the body part that broke down first. A further profit is seeing rattlesnakes and cactus spines in 3D. The 3D glasses have one red and one blue filter lens that 'tricks' the brain into seeing a 3D image. There's nothing like it! As all flexions, agrarian reformers, and cb's want the Cattle Trader to win, the idea that 'things are terrible and horrible' of the Real Estate Candidate is very good for stocks as the former will wish to cushion the Cattle Trader's victory. 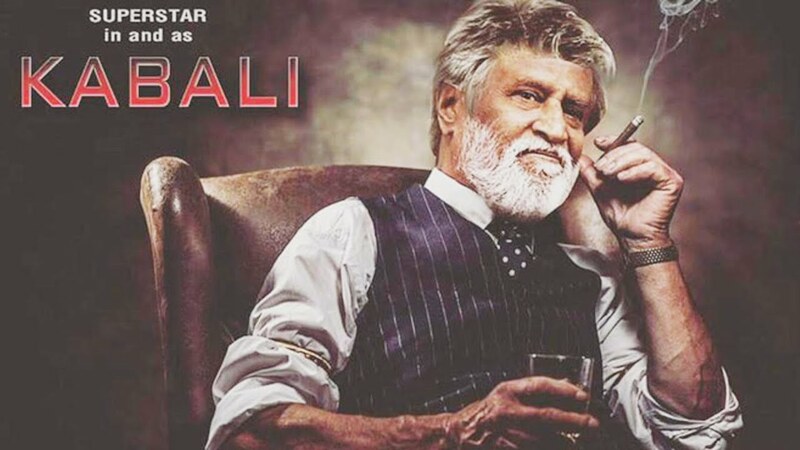 Here's a BBC story on the Kabali movie mania phenomenon:"How Rajinikanth and Kabali Mania Swept India"
Here is the trailer for the movie. Here is the theme song with lyrics. Here are fans in Japan reacting to the star, Rajinikanth. "Bezos Tops Buffett as World’s Third-Richest on Amazon Rise"
Has anyone done a study on company CEO's making top millionaire lists and subsequent returns in their stock after? Amazon is a fantastic company, but it feels as though there may be a ballpark renaming analogy here. When a market has had a successful run and is ready to roll a seven there are several scenarios in which the turnaround occurs. A very interesting one is where the market in question does not initially falter and give a sell signal. Rather, what happens is that competitors or alternatives to that market start to look interesting first. It is almost as though those in control of portfolios start to move their cash into the alternatives before selling the primary market. For those of you who play these markets by the numbers I suggest you check your signals for bonds, gold and equities. Observe if you are getting buy signals in bonds and gold, but not yet sell signals in equities. This does not have to be a big move, just a portfolio adjustment. Salt in Their Veins by Charles Wing is an inspiring book consisting of interviews with the ingenious, hardworking coastal Mainers from Portland to Eastport by Wing, a professor who wrote 7 books while living on a boat for 8 years. There are chapters about 4 boat builders, 3 restauraters, 7 fisherman of all sorts from local lobsterman to deep sea swordfisherman, a wharfinger, a docker, 3 businessman, 2 artists, 2 fish store operators, a teacher, 2 racers, and a mechanic. All of those interviewed have been living in Maine for many generations, and have a work ethic second to none that I have encountered. They are drawn together by a love of the ocean, jacks of all trades, flexibility, a loathing for those who are from away from Maine, and those who rely on anything other than their own hard work and self reliance. Maine has more millionaires per capita than any other state, and perhaps the least migration in and out of any state. After reading the book, you want to tip your hat to many geniuses you meet with. Typical of these are a self taught mechanic who builds submarines and planes without plans, a businessman who runs Bath Iron Works with 10,000 employees and builds the best boats in the world, there are master boat builders in wood, and fiberglass, there are racers who routinely cross the Atlantic in sail boats in 30 days 3 or 4 times a year. The social structure of the inland Maine community is unlike anything you might meet with anywhere else. The kids never move out of the town they were raised in, there is no theft, the center of town is the fish store, or the post office. Half the population is related to each other, promiscuity and drinking a la Peyton place is rampant especially in the winter. And above all, there is loathing for those from away, even after 90 years, if you weren't born there you're not one of them. Almost all those interviewed had their boats overturned in 40 degree water and survived in one way or another even without knowing how to swim. I found the preparations for these accidents and coolness in the face of imminent death, quite edifying in my own business. One can't compliment the author Charlie Wing, enough. He's the kind of person you would like to meet and sit on a log with and learn from. Every chapter has home grown wisdom form him, that inspires those he interviews to elicit the inner working of their lives. I loved the book, couldn't put it down, and recommend it heartily. I have an enforced vacation planned at Vinyl Haven in a few weeks, and will keep my ears open while there to learn about life from the locals. A typical Maine anecdote: Martha Stewart comes to Bar Harbor and of course her cell phone doesn't work, as is typical of most of the Maine coast. There's a line at the pay phone. She cuts in. 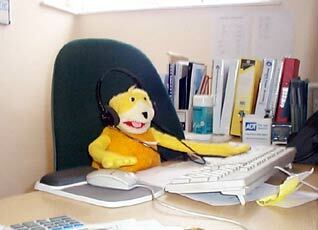 "I have to make a very important call involving millions of dollars." An elderly gentleman says that "in Maine we all wait our turn no matter how important we are". She says, "Don't you know who I am. I'm Martha Stewart". He says, "Yes I know, I'm John Rockefeller". (He donated Acadia National Park to the state). Here's a little on Bill Haggett but you have to read the book to see his amazing accomplishments and humility. "Pineland Farms Inc. Tops $100 Million with William Haggett at the Helm"
"The story is from the oral tradition. It's been around for 200 years. That story is more true than any of the facts that went into its constructions. It has had the stamp and approval of successive generations. It's been passed on as a living document of the values of all the people it passed through. This is resonating and living like a true song. It is a truth about who we are, and it reflects and amplifies and educates along the way". I am reminded of my story about how Grandpa Martin often traded in the penny exchanges with Jesse Livermore. Often they'd go up to Scott Joplin's brother afterwards to meet the girls and perhaps take them on Jesse's yacht. 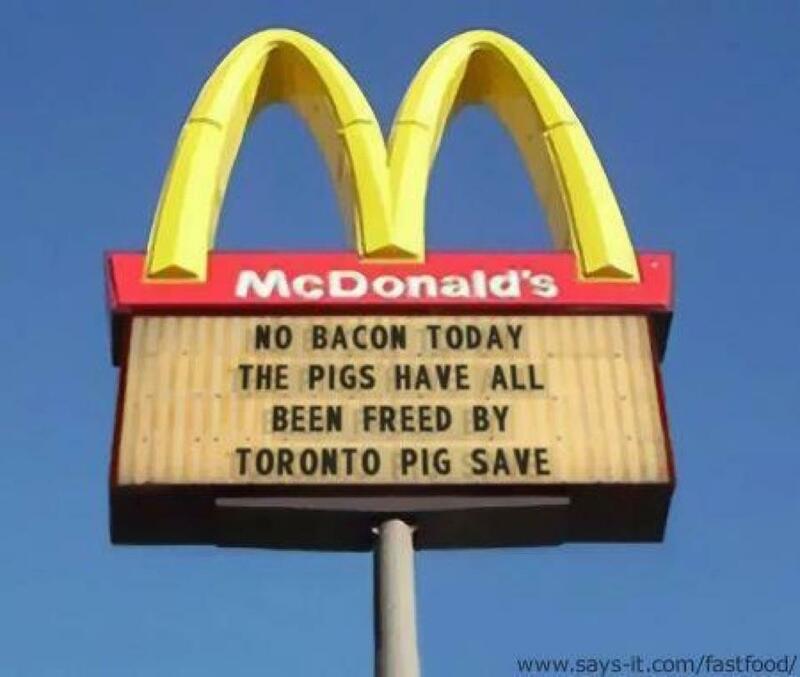 It should be true. I notice that the kidz today like to get to their destinations fast. They need a hotshot, and their routes all have to be high priority lines. Whether they need to get to a punx show, get a fix, get laid, get MD 20/20, get on tv, get a pokemon, who knows? I personally think they are missing a big part of being on the road. Look, I understand that sometimes we all need to be in a hurry. But one of the beauties of the road is that it forces you to become patient. Some of the most interesting experiences I've had were by hitting the trails less traveled. Back in the day however, hoboes and tramps were much tougher. If they got ditched, they would drill it to the next station or jerk water town. They would follow the tracks the whole way. Once tramps came to a small town, they might jungle up there and wait for the next drag, or go into town and beg. The Boes would look for work. If no trains stopped there, they would keep moving. Always following the tracks. What am I trying to say? I am not telling anyone how to live their life, but I will say there is a hell of a lot of opportunity and authenticity to follow the rails all the way, especially if there are no freights available. If you look at the rail lines today, many of the little rail towns still survive, and are inhabited. They had to be spaced no more than 20-25 miles apart max, because the old steamers took on water. This is especially true from the central midwest to the east coast. I have found plenty of work opportunities, and kind people who have helped me on the way in those towns and villages. Of course, I've ran into a few nut balls, but you'll find them everywhere and in any situation if you are out there long enough. Out west, it can be a little dicier. Many of the old water tank towns have been pulled up completely, or are further apart. This is one reason why back in the old days, many of the eastern tramps and Boes did not need a bindle. Freights would stop more frequently in the east, which is still true today. In the west, you need a bindle, period! You can still get over the railroad drilling it, if you are prepared. It isn't easy. It can be rough and tiresome, but the trouble can be well worth it. You need to follow the code when you arrive in town at all times, or you will blow up the town! Bottom line, if you want more hair on your chest, be more manly, (seems to be taboo today for some reason) have more adventure and experience, then make the rails your road all the way. Even if they are less traveled. Good insights. For the readers, 'hotshot' is a fast priority freight. I'm afraid the old school of slow hoboing is as drained out as the water tanks. Steam Train Murray the hobo King once told me that if he had it all to do over again he would walk the rails rather than ride them. Speaking of wealth, look where it is: "List of Highest Income Counties in the US"
This is my review of a book that describes every type of hedge fund category. 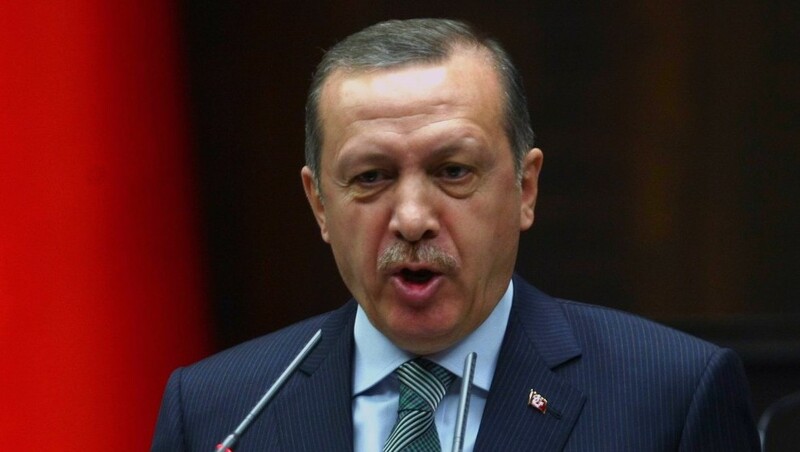 The dictator of Turkey. He's not a dictator. He's been duly elected every time. Lots of dictators have been selected by the people in elections (Hitler, Chavez), or appointed and granted dictatorial powers by democratic representative bodies (Mussolini). One of the great concerns of the founding fathers of the United States was the tendency of democracies to devolve into dictatorial tyrannies. Democracy is the lowest rung on the collectivist ladder and an essential precursor to socialism. The idea that a pulse, and nothing more, would qualify an individual to take part in the political process is ludicrous to anyone who has spent even a cursory amount of time in the real world. The G Boys are retailing another of those lessons from history that is really a bad sermon about the awful citizenry. No one in Philadelphia in 1787 was concerned about democratic tyranny. They gave control of the Union to the House of Representatives and to the appointees of the States' own popular houses. The Senate exists, not as a check on democratic impulses, but as a scheme that gave small states a reason to believe that they would not be surrendering their own popular sovereignties. Hitler did not win an electoral majority; his dictatorial powers came from the emergency legislation adopted after the Reichstag fire. There is nothing in the record of German aristocracies to suggest that they would have been any more temperate in their judgment than "the people" we're in 1933; after all, they were Hitler's party's principal source of campaign funds. What is wrong with Venezuela and Turkey and the EU, for that matter, is that their democracy is an ideology for giving the state absolute authority in the name of "the people", not what our American democracies - state and Federal - were agreed upon to be: the legal mechanism for the exercise by individuals of their own particular rights as citizens. I have found the book Superforecasting: the Art and Science of Prediction by Philip Tetlock to be interesting, provocative and useful. I strongly recommend it. Philip Tetlock is on the faculty of Wharton in the Management Department, and Dan Gardner is a journalist and author. The basic story is that Philip Tetlock and his colleagues formed the Good Judgment Project (or "GJP"), and joined a prediction competition sponsored by the Intelligence Advanced Research Project Activity, or IARPA, which is the intelligence community's version of DARPA. GJP recruited volunteer forecasters, gave them some basic training, and put them into teams. The GJP teams were so successful that eventually the competing groups, including Michigan and MIT, were shut down or merged with Tetlock's group. As they screened out their most successful participants, Tetlock called them "superforecasters". There is an ever-growing corpus of popular books on some aspect of quantitative reasoning/decision science - "pop quant", if you will - and Gardner, who I assume took on the role of making the book accessible, includes refernces to Surowiceki's Wisdom of Crowds, Gleick's Chaos, Zero Dark Thirty, Daniel Kahneman, Michael Moubaisson, Taleb, Robert Rubin, Atul Gawande, and more. The references are never completely gratuitous and will be informative for people unfamiliar with this particular shelf of the bookstore. Tetlock's previous high-profile work was Expert Political Judgmentn, a 19-year project where 284 experts made 28,000 predictions "bearing on a diverse array of geopolitical and economic outcomes. The results were sobering. One widely reported finding was that forecasters were often only slightly more accurate than chance, and usually lost to simple extrapolation algorithms. Also, forecasters with the biggest news media profiles tended to lose to their lower profile colleagues, suggesting a rather perverse inverse relationship between fame and accuracy." - Brier score: The GJP uses Glenn Brier's scoring function to assess the accuracy of forecasts. While the Brier score itself may be useful, I found myself motivated to improve by the book's general discussion of the importance of making measurable forecasts and then tracking their accuracy. - Frequent updating: Bill Rafter's Cassandra Portfolio puts forward the hypothesis that the more specific one's predictions are, the more frequently they should be updated. Superforecasting fully supports that idea. The superforecasters updated their forecasts regularly and with decimal precision, and Tetlock shows that the forecasters' accuracy improved as a result. - The best forecasting teams had a diversity of experience and opinion. Tetlock goes so far as to say that without diversity, forecasting teams find it difficult to improve their accuracy: "Diversity trumps ability". - Extremizing: One of the algorithms they used for large-group forecasting was to take the average prediction of the group and then move it some distance away from 50%, e.g., if the group's prediction for an event's likelihood was 30%, the algorithm might "extremize" the forecast to 15%. The reason is that in large groups, individual forecasters did not know what other forecasters knew, and if they did, they would be more confident in their predictions which would push the values closer to 0% or 100%. And the algorithm was very successful in the IARPA forecasting competition. - One technique for improving accuracy was for the forecaster to make a prediction, then assume that the first prediction was wrong, and then make a second prediction. This falls into the general category of techniques a forecaster might use to dislodge himself from cognitive attachments. Another technique is to invert the question, sometimes simply by inserting "not". The example Tetlock uses is a change from "What is the likelihood that South Africa will allow the Dalai Lama to visit the country? ", to "What is the likelihood that South Africa will *not* allow the Dalai Lama to visit the country?" Superforecasting argues that forcing oneself to take different points of view on a prediction will improve results. There's much more in the book, of course, and it is well written and accessible. Again, strong recommendation, especially for those in the "Counting 101" class. We are coming off the All-Star break, the mid-point of the 2016 baseball season. And in response to some requests, I've been somewhat quiet about the boys in the orange and black. (No, not the Giants—they got their colors from the Os.) How fare the Birds of Baltimore, the Orioles? They sit 2 games ahead of the Bosox astride the top of the AL East. This is in contrast to all the other divisions, in which there is a clearly dominant team. The reality is that the Os on the road are barely OK. They play under .500 on the road. But in Camden Yards, they are a very different team thus far in 2016, a strong team with an offense that is second best in the AL (only the Bosox, who play with the Green Monster at Fenway half the time, are better). The Os lead the majors in home runs (this is becoming the Os preferred way of scoring), but they definitely lack speed on the base paths—dead last in triples. Mark Trumbo and Chris Davis are responsible for the four baggers, but others are doing their share too. Fielding is just OK—fifth best. And pitching is just awful. There's only one Os starter of note this year—Chris Tillman. Putting Ubaldo Jimenez on the mound is the equivalent of staking the opposing team to 6 runs. It must be nice for $4 mil a year. The Os badly need an Eddie Watt or Sammy Steward, someone with a rubber arm for long relief who can start the occasional game when needed. And the bullpen is graced by Zach Brittan, arguably the best closer in baseball (perfect on saves-save opportunities, as are many others right now, but none with an ERA below 1.00—Zach's is 0.7). Middle relief and the set-up is Darren O'Day, who's not having such a great year—nothing anywhere near last year's beautiful performance. Maybe the second half will serve him better. We'll see. Pitching, though, remains a weak point—and Danny Duquette, the O's GM, shows no sign of evaluating pitchers with any success. Tim Melvin and I have spent much of the first half bemoaning to each other the poor pitching staff and the horrible player decisions from the GM's office. I can't say that pitching is pathetic—the Birds win games. But pitching doesn't seem to be a big factor in the wins. So the Os start the second half of the season with lots of power, OK fielding and weak pitching. For those of us from the Weaver era, this is nothing close to pitching, defense and the three run home run. I miss that trio. It served the Os well. Buck may be a great manager, but he needs players with some talent. The pitching staff comes up short on that area. Some personnel changes are in order. Maybe bring up some of the pitchers from the minors—they could hardly do worse than the current staff. Somehow, the Os are winning, but I'm not completely sure how. There are just so many HRs that a team can hit. The pitching staff simply has to perform. There's still a long ways to go until October (or is it November yet?). Maybe the staff will find its groove. One peeve that I have these days isn't limited to the Os. It's the challenges. These really slow the game down. I wonder how many are successful. Personally, I'll take my chances with the field umps. They may be blind, but the time for the challenge system is just too much—it ruins the rhythm of the game. Eliminate it. Please? Pretty please? The world may have given up on what the Pelhams considered to be the only effective restraint of government spending - the requirement that the Bank of England and everyone else's notes be redeemable in coin at par. But we do seem to be back in their world of consolidated finance as far as interest rates on government debt are concerned and our betters will no longer have to worry about what those pesky speculators think. Etsuro Honda, who has emerged as a matchmaker for Abe in corralling foreign economic experts to offer policy guidance, said that during an hour-long discussion with Bernanke in April the former Federal Reserve chief warned there was a risk Japan at any time could return to deflation. He noted that helicopter money — in which the government issues non-marketable perpetual bonds with no maturity date and the Bank of Japan directly buys them — could work as the strongest tool to overcome deflation, according to Honda. Keynes wanted central banks and their #1 borrowers - the governments whose laws made central bank IOUs into money - to write checks that would pay for more consumption. They did - eventually; they had World War II and all the subsequent ones that have justified government check-writing in excess of tax collection. The beauty of the belief system is that its failures guarantee a further application of its promises of salvation. Whenever the extra "money" (actually credit since no one could ever ask for gold coin in exchange for their legal tender paper) gets ahead of the supply of what is being consumed, prices rise permanently. For the people who have money savings, this price rise is a tax on their accumulated wealth and can be celebrated as evidence of a change towards greater greater "equality". For the people who have little or no money, the price increase become a fundamental reason why the government must add to their incomes or, at the very least, index their pay to "inflation". Either way, the solution to the problem requires the government to have more money/credit to spend. 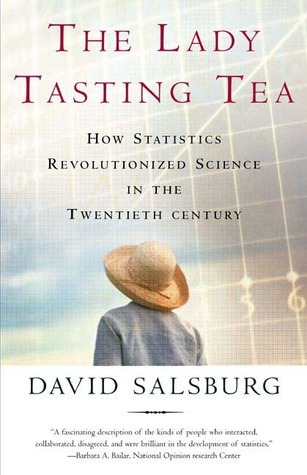 The book The Lady Tasting Tea: How Statistics Revolutionized Science in the Twentieth Century is a one person historical account of the greatest statisticians. While one may quibble with the authors choice of who the greatest statisticians where or how much he wrote on the statisticians he personally knew, its strength is also because this book is written by a student of R. A. Fischer. a statistician known for introducing statistical research methods into science and furthering Galton's regression analysis. The "lady tasting tea" is a test if a lady can taste if tea is mixed into milk or if milk is mixed into tea. Highly recommended for those that love history and/ or statistics. Let's stop this myth. Fisher's contribution to research methods was in "translating" Pearson. Pearson had actually derived the mathematical formulation well before Fisher, and that Fisher "stole" (from Pearson's view) what became the F test and the like was the basis for a long-standing animosity between the two. Bringing in statistical methods into science was the work of others, not Fisher. Pearson started that task in the early 1900s for biology and medicine, work continued by Major Greenwood (Pearson's protege, though some might argue that Egon Pearson, Karl Pearson's son, of Neyman-Pearson Lemma fame among other things, took on that role ) and then A Bradford Hill (Greenwood's protege). Hill was among the first tobacco-lung cancer studies (frequently not noted is that Richard Doll was Hill's protege). Hill was also the genius behind the first modern randomized trial, the MRC Streptomycin Trial in 1948 (conducted as a randomized trial to eliminate bias and not to allow for significance testing). (The trial was necessitated by the cost of streptomycin as a treatment for TB and the essential bankruptcy of Britain post WW2. If the drug didn't "work", the British government didn't want the expense of buying it.) In the US, it was Harold Dorn's work bringing stats into medical research. Dorn and Hill studied together in 1933-5 under Pearson (Egon, not Karl) in London. That was just before Hill published his book on statistics in medical research, which itself translated Pearson for medical researchers. On the social science side, there was F. Stuart Chapin methodologically, and a bunch of students of Franklin Gittings on the pure stats side. (Gitting's statistical empiricism contrasted with the case-study methods championed at the University of Chicago—which wouldn't change until Sam Stouffer went to it from the University of Wisconsin, where he was the thesis advisor to Harold Dorn. These were all statisticians, with the exception of Chapin, who strode the fence between stats and subject matter. Fisher's fame derived out of a book that allowed people to understand Pearson's accomplishments, significant but hardly the person to bring stats into scientific research. Frank Yates, Fisher's contemporary and teacher to Bill Cochran (of Cochran's theorem—the basis of all contingency table analyses since about 1940 (and yes, Fisher's exact test is still sometimes used, but not anywhere near as much as the tests deriving off of Cochran's work, including log-likelihood, Mantel-Haenszel (also known as Cochran-Mantel-Haenszel today), as well as sampling and queuing theory). That work (Cochran's) had as much to do with bringing "modern" stats into science as Fisher did—but he didn't write much. Yates is also significant in the development of the analysis of variance, but the foundational work there was Fisher's. The AoV was important for agriculture and some laboratory work, though some might argue that Student (Gossett)—another student of Pearon's was the more significant figure there—it is, after all, Student's t-test, not Fisher's t-test. It was the F-test which was named for Fisher. Fisher was the Richard Feynman of stats, though some might argue, reasonably, that Cochran's book (aka Snedecor and Cochran) taught at least two or three magnitudes more people in science about stats than Fisher ever did, holds as much claim to that title as Fisher did. Cochran went to the US because he and Fisher had quite a falling out after Cochran published what has become known as Cochran's Theorem (which demonstrated, among other things, that the sum of a series of chi-squares was a chi-square and that one could thereby combine contingency tables for analytic purposes). That was 1938, and the Cochran-Mantel-Haenszel work started in 1954—M-H was 1959). Cochran told me that he and Fisher were good friends before that, sharing a "smoke and afternoon tea" together. (Cochran was well along in suffering from strokes by the time I got to know him, so he might have that history a bit wrong, though Tony Hill agreed with Cochran's recollections—Cochran was well known in London by 1936/7.) Cochran's great "sin" was his refusal to "genuflect" (his word) before the "alter of Fisher" when he published this theorem and stating that the idea was Fisher's—Cochran said it was not. Interesting is that aside from Fisher's exact test, he never did much with contingency tables. Fisher was a genius, but his impact in stats has been way overblown in its significance (pun intended), much as Feynman was a phenomenal teacher—rainbows on the blackboard—but his impact on physics was normative, not transformative. Pearson has a stronger claim to being the person who brought statistics, notably mathematical statistics, into scientific research, though as the above discussion suggests, he was seminal but hardly alone. "The rate of increase in fitness of any organism at any time is equal to its genetic variance in fitness at that time." The black curved line is the average, compounded growth rate (the average [geometric] rate of population growth, what Fisher calls "the increase in fitness of a population"), the hypotenuse, the mean growth in population size per period, the base of the triangles, the variance in growth in those periods. Clearly, Fisher saw in the natural world, a sliver, to the left of the peak of this mathematical relationship. In very many things, we see this relationship over and over, but often because of natural bounds, we see but a sliver (trading, being an abstraction [until the margin department calls] however, experiences the full spectrum). EIN: Bo, thanks so much for taking time to talk to EIN. Before we discuss your new book, Elvis' Humor Girls, Guns & Guitars, I'd like to find out more about you as a person. You have led, and continue to lead, an incredibly interesting and eclectic life. Tell us a little about your life travels. BK: If you follow Buck the dog in Jack London's Call of the Wild then you follow my life travels. A comfortable loving upbringing in suburban Idaho, into the freight boxcars across America, and on to 105 countries the hard way – under a backpack – until yielding to the Call of the Wild. A decade ago I dug a burrow in the Sonora, USA desert and pop out now and then to travel and write books. I've walked the lengths of Colorado, Florida, Vermont, California, Baja, and Death Valley seeking the Call. EIN: Were you an adventurer from an early age? BK: I was an adventurer from the get-go. I jumped down the clothes shoot into the family cellar for a phoenix birth into adventure. From there I climbed the steps into the neighboring woods, swinging from the Weeping Willow vines like Tarzan (whom I had read about), and pedaled on full day bicycle trips, and raft trips on creeks like Thor Heyerdahl aboard Kon-Tiki. These were a series of escapades to explore nature and the border pieces of the puzzles that is me. EIN: What did you find? BK: I found myself at age thirty in a garage called Nirvana on a remote lake in Michigan where I undertook a final series of 24-hour experiments designed to fill in the interior pieces of the puzzle. Slowly I began to take shape by bicycling 24 hours, walking 24 hours, not blinking 24 hours, sleep deprivation, and so on in an article I wrote called 'Bladder Cross-Training in a Michigan Garage'. The point, for example, of trying to jump up to hit my head on the ceiling was to explore my extremes. BK: Here I am to answer your questions about Elvis from an adventurer's point of view. EIN: What is your first memory of E? BK: At seven years I was walking John Adams Parkway in Idaho Falls, Idaho to the rural market for a nickel hotdog. It was rare to have a nickel and I was carrying my only Christmas present that year, a little Sony transistor radio. A singer came on the radio crooning 'Hound Dog Man' and for a few seconds I forgot about the dog. The rich voice captured me and I liked the topic of animals. I was so naive that I thought Elvis was somewhere nearby singing live, and I wondered how the next singer, and the next would get to the microphone between songs. 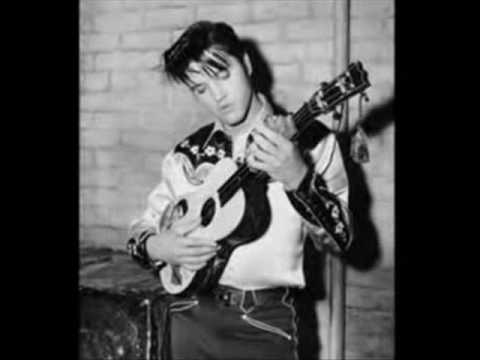 I was not an early Elvis fan … until three decades passed. In 1975 racquetball boomed across America and Elvis built his own court at Graceland complete with gold swivel 360-degree showerheads. I knew the architect and builder of the court. Everyone in Presley's entourage, including the bodyguards, band, and many of his girlfriends, played racquetball. I was the #1 or 2 player in the world at the time and, though I didn't play at Graceland, many of my peers did including champions Davey Bledsoe, Mike Zeitman, the Smith brothers, Dr. Nichopoulous, Fred Lewerenz, and others in a special group of a couple dozen for whom I coined the name Elvis and the Memphis Racquetball Mafia. A 2013 article by that name was syndicated and became the basis for the 2015 ESPN documentary 'When the King Held Court'. EIN: What did the King look like when he held court? BK: Elvis struck the ball around the court like he was strumming a guitar for the fun of it. He looked like he was on stage except with a racquet. His moves incorporated karate, just like in concerts, and to work the audiences he would whack guys in the back of the head with the ball to keep them on their toes. When someone like Sonny or Red West whacked him back to the kidney with the ball, a free-for all would ensue. Elvis loved mixing it up, and though I would like to say that his favorite sport was racquetball, instead it was these in order: Football, martial arts, girls, and racquetball. EIN: Elvis live hard, and so have you. What are some of the highlights for you over the years? BK: They would include a handful of mental and physical feats. The first real tough thing I did was Veterinary School. Due to a post WWII pet boom Michigan State University devised a concentration program to cram six years into five, including summers and weekends. My next point of pride was winning a National Paddleball Championship while in Vet school. This parlayed on the West coast after vet school into multiple National titles in racquetball and paddleball. One of the most difficult things I did was learn to become ambidextrous, playing tournaments left and right handed. The goal was to go up one side of the bracket lefty, and the other side righty, and meet myself in the finals. Always a prosaic perfectionist, I learned to write opposite handed and to read and write backwards with the print flowing from right to left. I've read the last few hundred books upside down to balance the visual system and have greater stamina. Let's say you're traveling down the Red Sea with nothing to do but read – being able to turn the book every which way is like shifting arms in weight lifting to go longer. Let's say you're writing a book or a long interview and want to continue to make it enjoyable – you just turn the screen upside down and continue reading or writing to stay fresh. I like what I've done in travel. I became a boxcar tourist riding the rails of North America and Mexico and ultimately developed a website and Executive Hobo Service as a sort of hobo Outward Bound. In world travel, so many near death experiences accumulated that I sat down and listed them all on index cards, stacked them into chronological order, gave the concept a working title of 'Catman Keeley' (The man with nine lives), created a website http://www.catmankeeley.com/, and wrote a two-volume autobiography titled the Book of Bo I & II. I get press now and then and the most recent was a feature in Mother Jones with an improbable title of 'The Amazing and Possible True Adventures of Catman Keeley and his Corporate Hobos'. EIN: Is there one accomplishment you value over all others? BK: I've helped myself enough that my greatest thrills have become helping others. My first venture of altruism was pulling the oldest fraternity called Farmhouse out of the athletic cellar at Michigan State University. Ever since the college founded in 1865 Farmhouse had been at the bottom of the fraternity rank in athletics while #1 scholastically. I was able to coach the genius hayseeds to become #1 while attending vet school. Now I establish silent scholarships as a sub-teacher in California desert communities, help stray animals, and give a handout where a handout's due or earned. EIN: What is involved in a typical Bo Keeley day in July 2016? BK: I use a systematic approach for efficiency. Five days a week 12 hours a day for the past six months I've been at a library working on a new biography. After writing and publishing about 26 books, this may be the last and the best. It's about a telekinetic schizophrenic who got on 'That's Incredible', was Star Magazine's 'World's Greatest Psychic' cover story, a hillbilly martial artist who broke the Guinness record for the most linear feet of bricks broken in a single blow, and became the greatest escape artist in modern history from prisons and insane asylums. It's been a battle of wills finishing the biography, but it will get done. EIN: Bo, apart from numerous physical endeavors, you have played chess with U.S. Open champion, Art Bisguier. In fact your bio suggests a strong balance between mind and physical pursuits. What is your philosophy on how you approach your life? BK: Look. If I'm here I might as well do something. I've been bored and don't like it. I'd rather accomplish. Create value: make something out of little. I've always followed a Golden Line of progression in some little way every day of my life, thinking that will affect the soul. I learned early on that there are two paths to excellence. You can do it the Jack Dempsey way and work the mines and forest, and tie your hands to the brake rods underneath boxcars to keep from falling under the steel wheels while hoboing to the next of hundreds of bar fights en route to becoming the World Heavyweight Champion. That is a rags to riches story, it is the American possibility and way, and I like it and have tried to emulate it. On the other hand, there is what Napoleon Hill called the Master Mind Group in his book Think and Grow Rich. A Master Mind Group are highly qualified teachers in your area of mental or physical pursuit. In the 1980s, I identified those I wanted to learn from and 'drove to the mountain'. I outfitted a '74 Chevy van and cruised the USA with a 7' stuffed rabbit named Fillmore Hare riding shotgun. Not only did I visit intellectuals coast-to-coast, Fillmore would wave down smart looking hitchhikers for me to talk to via an invisible fishline attached to his thumb. In this way, I visited and vied against chess champion Art Bisguier, checker champ Tom Wiswell, ping pong's Marty Reisman, speculators Vic Niederhoffer and George Soros, and scientists like DNA's Jim Watson. What an honor! EIN: How many close encounters have you had with rattlesnakes? BK: You make it sound like meeting an alien. Rattlesnakes are individuals with distinct personalities including lowdown sidewinders and gentlemen like the Western Diamondback that is the doorkeeper at my burrow home. When I meet a new rattler I and it says howdy-do, I sit down six feet away if it is 4-feet long, and let it dissipate its nervousness through its tail, and then we study each other for a few minutes until one of us out of boredom walks away. I've encountered upward of 200 rattlesnakes in the course of hiking, and been struck at only once. That's more than I can say of uprights. I don't handle them but on occasion do handle scorpions and tarantulas. I used to have a Tarantula Hotel with suites for Terry, Theodore, Thomas, and Tam. Tam was a rubber spider attached to a spring that would jump out and get stuck on peoples' shoulders or in their hair. It was a good screen to get proper dates. A girl in such terror looks like when she is very excited. I was also an amateur magician and used tricks to incite romance, including one that backfired when a fire flash jumped out my palm and burned off a sweetheart's eyebrows. As I age, and the sleight of hand becomes less nimble, I have gravitated toward animals for simple companionship. I've been car camping in a Hertz rental in the Sonora desert for the past 16 months ever since thieves broke into my desert property and took everything of value. So I followed the Call of the Wild deeper into the desert and have made friends with various species including Kit Foxes who tug me by the hand to the dinner plate to share Ol Roy's sirloin strips. EIN: Bo, please tell us about the time you and a friend, disguised as Mexicans, rode atop freight trains with Central American immigrants through Mexico, finally being apprehended by the US Border Patrol while swimming the Rio Grande with expired Mexican visas. BK: One of the grandest migrations in modern history is thousands of Central Americans atop freights through Mexico to the Promised Land USA. I've ridden with them a dozen times, two hundred of us on the decks of a dozen freight cars playing cards, trading stories, and ducking branches. Why would I do that? All you have to do is read John Griffin's Black Like Me to know that to empathize with a group one must become one of them. 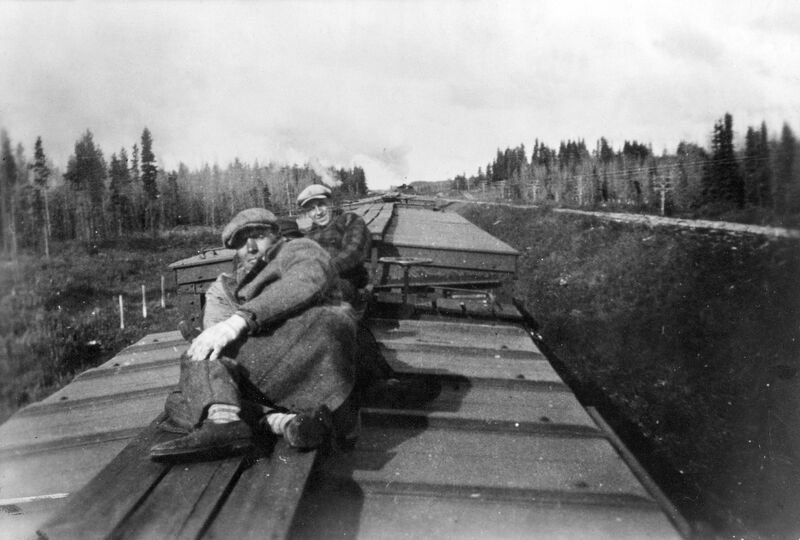 I became a Mexico hobo, and still enjoy riding the rails south of the border without the worry of railroad bulls. The last one who picked me up was a Bull-ette who took me home and introduced me to her mother who entreated me to marry her daughter. Alas, I left her after that short ride, and took to the rails north to the Promised Land. I got nabbed by the Border Patrol wading across the Texas Rio Grande into USA. The Border Patrol was cordial after finding out I was writing Executive Hobo: Riding the American Dream. EIN: And the time you were deputized in Namibia. What happened? BK: That was a little affair in the southern Africa country of Namibia where I rolled into Windhoek fishing rides with a thumb. The equivalent of a sheriff stopped and asked if I'd masquerade as a tourist wishing to buy elephant Ivory from a desperado they had been trying to corral. I scorn Ivory poachers, so I found myself driving an unmarked car with a pistol under the driver's seat driving up to the perpetrator's doorstep. He was such a nice young fellow who claimed ignorance of the Ivory trade that I didn't know who to believe. I parked the car in an alley, and hitched out of town. Anything can happen in world travel, which is why I recommend it. EIN: Bo, what is that drives you to lead such a varied and challenging life? BK: I was the Elvis Presley of potato country growing up in Idaho as a kid. Elvis's mom dragged him between her legs in a gunny sack up and down the rows of picking cotton, and my mom took me during what was called Potato Vacation from grade school in the potato capital to pick spuds. Like Elvis, I didn't have a damned thing that couldn't be left out in the rain. Is it any wonder he became wild, or anyone who had an upbringing like that would strive out and away from it? At least that's what I think, in retrospect, as a certified Psych Technician. EIN: Of the more than 20 books you have written do you have a favorite and why? BK: My favorite book is last year's publication of Advanced Racquetball. It was written on the 40-year previous promise in the introduction of the best-selling Complete Book of Racquetball that in 1975 was the sport bible. I promised to write a sequel for advanced players, and though it took four decades I did it. It was written over the course of five months, 12 hours a day, seven days a week while recovering from an illness in Iquitos, Peru at the headwaters of the Amazon. I had contracted the worst case of Chronic Anemia from hookworms in the hospital history – with a hematocrit of 50% norm - and the doctor told me to stop moving or die. So, I sat at a buck-an-hour Internet and typed, and gathered pictures, and completed the 850 page tome. I had always admired the length, breadth and quality of Ayn Rand's Atlas Shrugged, and created a sport work that also did not have a single edit going to press. EIN: Bo, you and Elvis shared a love of racquetball with Elvis building a court at Graceland and you achieving status as US National Champion and one of the world's top three players throughout the 1970s. How proficient was Elvis as a racquetball player? BK: Elvis was what I would call a Club Player, like Bobby Fisher was a genius in one thing but a Club Player in racquetball. E had a strong forehand as an extension of karate, a standard club backhand from never throwing a football backhanded, and hit the gamut of serves while preferring the hard drive. Racquetball was a workout and a release for him. He played in white tennis shoes, shorts, and Dr. Nick made him put on safety goggles to protect those eyes for the girls. His headband was white and he always wore a glove, and almost always a rubber suit around the midriff to lose weight. At the time, he was battling a watermelon gut and used racquetball to sweat off pounds to look good for his fans before going on tour. Make no mistake, Elvis Presley was a great athlete. He played football, rode horses, waterskied, and Kenpo karate. The Memphis Racquetball Mafia told me that he was 'deadly' at martial arts, and I believe that after hooking up with grandmaster Ed Parker that Elvis could manage himself in any scrap. I saw him perform in a video with hands flashing as fast as Bruce Lees, and more rhythm, but Bruce didn't play the guitar. As for racquetball, Presley's silent physician and my personal friend, Dr. Fred Lewerenz of Michigan stated it best. He told me that Elvis just loved to play. He liked the fast action and release of energy, along with shedding pounds. It made him feel good. Having the court in back of Graceland meant that Elvis could yell at the guys from the piano, 'Hey, everybody. Get dressed for racquetball!' And minutes later the bodyguards, musicians, girlfriends, and some of the pros on hand, would be on the court having a good time. EIN: Elvis surrounded himself with several premier level racquetball stars. Please tell us about that. BK: The first I heard of Presley in racquetball was from my competitor and chum, National Champion Davey Bledsoe in the mid-1970s. Bledsoe was supplying Leach Industries (also my sponsor) racquets and sweats to Elvis with one distinct difference: The equipment had Elvis's name engraved in gold on them. It's easier to refer you to the complete vicissitudes of Elvis and racquetball in 'Elvis and the Memphis Racquetball Mafia' that goes from his first racquet to his attempt to open Presley Center Courts that was squelched by Colonel Parker. The members of the Racquetball Mafia from the pro racquetball tour were Bledsoe, Lewerenz, Dr. Nick and his son Dean, Mike Zeitman, Sarah Green, Stew and Steve Smith, Randy Stafford, and Dave Fleetwood. EIN: EIN understands Dr. Nick was a more than handy player as well? 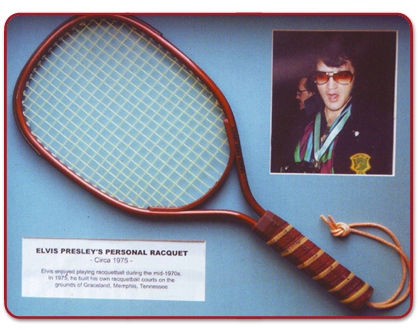 BK: Dr. George Nichopolous told me that he introduced Elvis to racquetball in 1968. Nick, who I had played once, gave me the whole spiel. Nick had been the game's pioneer promoter in Nashville, TN as early as 1955, sawing off the handle of a tennis racquet to hit a ball around a handball sport in wintertime. Racquetball was born! along with similar innovations at the same time across America. Nick showed Paddle Racquets, as it was called then, to young players with ambition and talent. Dr. Nick had begun treating Presley in 1967 for 'saddle sores' from so much horseback riding on the Hollywood sets and motorcycle riding back in Memphis, not to mention the girls. He suggested racquetball as an alternative to Elvis, who loved it. The Graceland Court was built, and a new era of Presley's life was underway. The best player at Graceland after all the pros went home was bodyguard Red West who fell just short of Open play. Red was an accomplished all-around athlete who took those talents to the racquetball court. Still, my tournament nemesis Davey Bledsoe once challenged one-at-a-time all of E's security to one game to 21 for $100 per man. Bledsoe used an antifreeze bottle as a racquet against Red, Sonny, Dave Hebler, and the rest … and won each bet. EIN: Why did racquetball take hold in the US while squash was prominent in other countries including Australia and Pakistan? BK: Racquetball took America by storm in the 1970s because the nation psyche was suited to it, as opposed to Australia with its rugby and India with its squash. I know squash from having played a little and buddied with world champions Heather McKay and Vic Niederhoffer, and I knew rugby in preferring those rougher sports such as it, football and wrestling to the one that I happen to be better at, racquetball. But in USA in the 1970s the Americans' brains were pacing fast and furious. They demanded a bouncier ball and bigger and bigger racquets, until the game nova'd at the end of the decade and literally fell in on itself like a black hole. Elvis, racquetball, and I were simply a synchronicity. My little part in it occurred on top the William B. Tanner Building in Memphis. A little backstory first. Memphis and San Diego were the warring racquetball capitals during the Golden Decade of the 70s. Even before Elvis built the Graceland court in 1975, there was another man about Memphis who was as moneyed as Presley and nearly as powerful. He was called 'the most prestigious man in Tennessee' by the press that he controlled. Bill Tanner and I crossed paths, shook hands, and locked horns a few times. Tanner owned the building named after him rising on Union Avenue above downtown Memphis where many of the racquetball pros whom I've mentioned worked for him. Elvis and the Racquetball Mafia played in a private court on the top floor before the Graceland one was built because Tanner would keep it open all night for them. On one swing through Memphis with Fillmore Hare in the Chevy Van, I stopped by the Tanner building, climbed the stairs, and was jogging laps around the rooftop 18-lap-to-a-mile track when President Tanner stepped out the sliding glass doors and blocked my progress. He gestured grandly over the rail over Memphis that he 'owned'. 'The key to the City is yours, Keeley, 'he said, 'if you join the Tanner team.' He wanted me to go to work for him, which included meeting Elvis. I explained that I had a previous sponsor whose contact I couldn't break, and thanked him for the offer. That was that. EIN: You saw Elvis live in concert in 1976. What were your impressions of Elvis' performance? BK: On April 24, I saw Elvis in concert at the San Diego Sports Arena. I had a close enough seat where I could smell his sweat and the pheromones of the gaggles at stage front. His voice was good, and I was impressed by a pro. A pro performs whatever his circumstances and his worst day is your best day. I liked what I saw. His voice was as rich as the day twenty years earlier I had heard him belt 'Hound Dog' on a transistor radio. Then, on June 11, Davey Bledsoe shocked the racquetball world by plowing through first me and then Marty Hogan to win his first National Championship. Two weeks later, on June 26, Elvis gave his last concert at Market Square in Indianapolis for a crowd of 18,000. Back on the Graceland racquetball court, Elvis looked pale, weak and overweight, but there was nothing to suggest impending death. About that time Bledsoe beat the three bodyguards with an anti-freeze bottle –Red and Sonny West, and Dave Hebler- who released Elvis: What Happened in a UK serial that was later published as a book in August, 1977. On August 16, 1977, a few hours after leaving the racquetball court, Elvis succumbed. I wrote that Elvis had played racquetball to death. 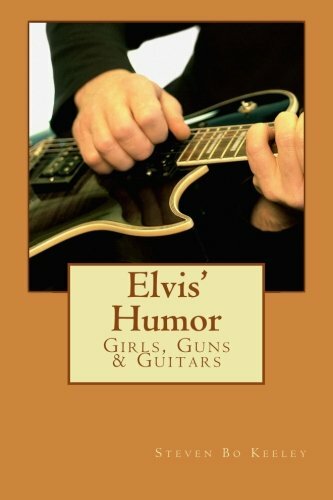 EIN: Bo, Elvis' Humor Girls, Guns & Guitars. What gave you the idea for what is a unique book in the Elvis literary canon? BK: Now we're talking Elvis! After the 'Elvis and the Memphis Racquetball Mafia' story I thought I had caught a tide. I would convert the article into a book Elvis and Sport. I don't go half-way on things and quickly identified and ordered from Amazon.com the top forty-five biographies by those who knew him: His bodyguards, step-brothers, musicians, girlfriends, housekeeper, doctors, neighbors, and kin - only firsthand information. I also had taped interviews from a dozen of the Memphis Racquetball Mafia. In each book and transcript I highlighted all the aspects of E in Sport. EIN: How long did it take you to research it? BK: A year later, in mid-2014, I had sufficient material for a lean book on Elvis in Sport. 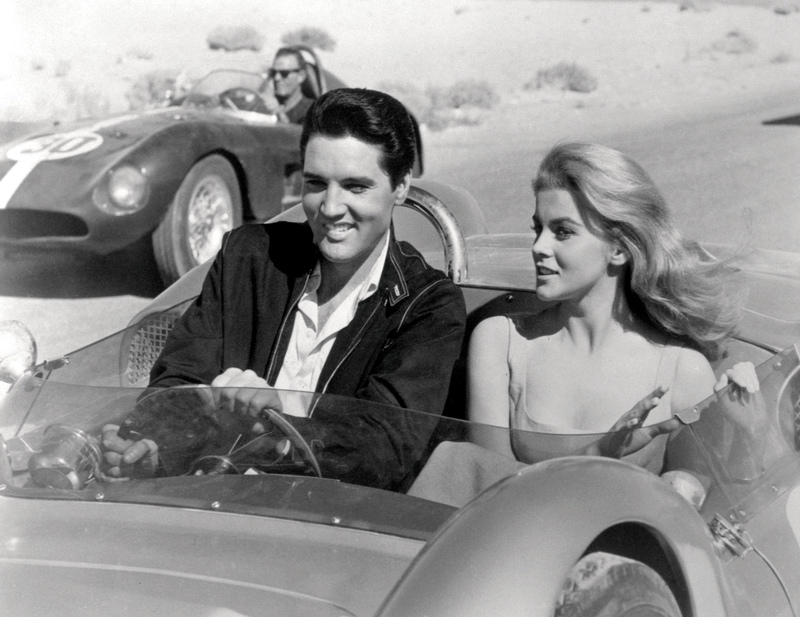 As I had read the biographies, early on I had noticed another strong theme in the Presley's life – humor. It never stopped. It was as prominent as girls, guns, and guitars in his life. I had also highlighted his humorous moments in the forty-five books. I liked the humor better than the sport. I methodically cut each of thousands of comic instants from the research, including EIN, and ordered them chronologically. Then clipped the same anecdotes told by different people – they matched, and there was little irregularity, making Elvis Presley truly a connoisseur's funny fellow. With this bunch jiggling like three pounds of carrots, I fashioned Elvis' Humor. EIN: Apart from sourcing examples of Elvis' humor from published sources you also interviewed people who knew Elvis. Who were some of the most interesting people you talked with? BK: The 'live' people provided the best visions into the comic life of Elvis, and when they started crying on the phone, whether from joy or sorrow at the loss of their joy, then it was interesting. Especially helpful were Stew and Steve Smith, Dr. Nick and son Dean, Randy Stafford and Dave Fleetwood, Dr. Lewerenz, and I'm sorry if I've forgotten others. To pick one would be to slight the others, which would not fare well for me next time on the racquetball court. EIN: Bo, what are some of your favorite Elvis comic moments? BK: I like all of the moments about Elvis and his pets – the chimp, dogs, horses, and menagerie in his swimming pool. The girls' ones get redundant like eating steak every meal. The appearances of Colonel Parker are stunning – and now we know who tickled E's funny bone. The money and gifting yarns show what Presley was really made of. The media ones portray a graceful leader among leaders. Hollywood is crazy and that's why E had to be funny. There are just too many anecdotes sitting on the smorgasbord to assimilate and dispense a favorite one or two. That's why the collection should be a one-a-day reminder like a calendar of proverbs rather than a one-sit read that kills you laughing. From the cheap seats, it appears that when you have (1) massive money printing, (2) a huge expansion in global productive & transportation capacity, and (3) probably the largest labor glut in history, then you have bubbles in assets where a demand/supply imbalance will not be brought to equilibrium by increased production (art masterworks, Vancouver/London/Sydney real estate, gold, equities, bonds), and you have disinflationary pressure on everything else. I heard an interesting piece on Radio Times yesterday where Rana Foroohar was interviewed. She said one issue is that only 15% of the money in the market goes into the economy and 85% stays in the financial system itself, which is an inversion of what it was designed to do (later mentioning Adam Smith - refreshing.) She has a new book called "Makers and Takers"
· Thanks to 40 years of policy changes and bad decisions, only about 15 % of all the money in our market system actually ends up in the real economy – the rest stays within the closed loop of finance itself. · The financial sector takes a quarter of all corporate profits in this country while creating only 4 % of American jobs. · The tax code continues to favor debt over equity, making it easier for companies to hoard cash overseas rather than reinvest it on our shores. · Our biggest and most profitable corporations are investing more money in stock buybacks than in research and innovation. Not sure that I agree more policy is helpful. Smart people make money on churn so not too surprising. In the depression, McDonald's has the best service, prices and clean restrooms. In the boom, it's the opposite. It's been that way since 92 when I came home from Iraq. Simple labor anecdote, but perhaps predictive for the HR department of the mega cap. Yet that has nothing to do with financial market, minus McD common. Have the banks paid all their fines? That's an observation of one. Certainly the Feds customers need a shift in the curve. Once the system filled the two trillion dollar hole and paid the Fed's bosses, regime shift. As much as one admires Zweig, especially since the dad was from Brighton Beach and the grandmothers used to talk about the grand kids, it would be good to test whether advancing volume versus declining volume ratio of 8 or 9 to 1 is bullish or bearish. Theil had a nice article on this circa 1964 in the Journal of Business using information theorem– a nice introduction to same– and the Doc and I have tested it in the subsequent 52 years which might be even more relevant. Whenever you have a hypothesis of importance, always ask yourself, "have you tested that?". Does anyone think that the world's central banks can "control" the relative prices of their national currencies? I don't; but I have the luxury of being completely ignorant about what and how GZ and others do in the trading of IOUs. I just see it as analogous to what the national Treasuries tried and failed to do with bi-metallism; no matter how much they huffed and puffed, they could never bring their official ratios for the prices of gold and silver into balance with what people bet they were worth. If central banks cannot, in fact, "control" the exchange ratios of their own legal tender, they certainly can "control" the price of their domestic debts. No one doubts that the Fed or the Bank of Japan or the Bank of China or the Bank of England can determine what their national Treasuries will pay as interest on the country's central government's new borrowings and outstanding debt. Can the European central bank prevent the Bank of Italy from funding whatever additional borrowings the Italian central government wants to make? Even those of us who are completely ignorant know that the answer is not going to be determined by "the law" but by the same politics that always govern essentially closed systems of interest. To put it in 18th century parliamentary terms, will the interests of the owners of the sugar islands and the city merchants who did their finance win out once again or will there be another tax revolt in the commons? 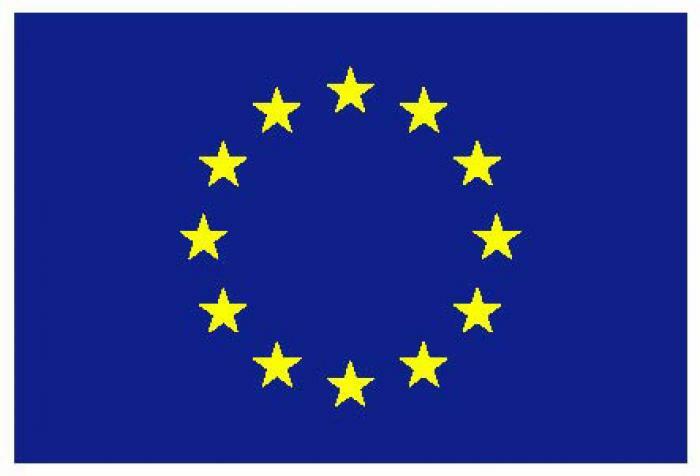 So many people everywhere in Europe now get their money direct from the EU just as so many people in England got theirs from the Navy; but that is of no benefit to the people who are on the local government and private payrolls. They want their own payouts. I confess I do not understand the notion of "peak" debt. The direct liabilities of the central governments are "high" but they are insignificant compared to the off-balance sheet promises that have been made for future retirement, medical and welfare payments. Governments can keep rolling over their debts and adding to them as long as they want; they have a zero interest credit card from their central banks. The only risk is that the professional scolds will (1) demand a "strict accounting" that brings those never-never plan obligations onto the country's official balance sheets AND (2) decide that the poor will have to go first in terms of "belt-tightening" (after all, they are all fat and should go on a diet). Stefan's post reminds of Ben Graham's quote: "In the short run, the market is a voting machine, but in the long run, it is a weighing machine." In the short run, the Bank of Italy, or any Central Bank or any Government or any enterprise for that matter, can do whatever they choose. In the long run, unsustainable policies are reflected in the exchange rate; or the cost of capital; or the access to capital; or in the wealth of a nation. Right now, the ECB's policies have seemingly altered both the signals from markets and what defines "long run." I am not unique in making these observations of course. My database shows that from May 1973 to September 1982, the Italian Lire declined from 800L/$ to about 2000L/$ — and it traded in a extremely wide band (+/- 50%) subsequently — until the conversion to the Euro. In the post-Gold Standard world, the Lire (and for that matter, most paper currency purchasing power) have always moved in one direction: down. The current Euro regime is unprecedented in all of our lifetimes– it's creating all sorts of novel imbalances — both similar to and different from previous fixed exchange rate periods (which always resulted in violent or gentle devaluation). The biggest imbalance of all is being created by the ECB's QE buying of sovereign debt — which essentially allows the Bank of Italy to be immune from the discipline of the market. I don't know how this will resolve, but the Greek experience of the past years is one possibility. The discussion about Scott's annuities are not unrelated. We have been in a protracted period of inflationary quiescence. When inflation and interest rates are low, people focus on "income income income." But when inflation is high, people focus on preserving their purchasing power. The most dangerous mistake any investor can make is taking for granted certain embedded truths — which turn out not to be a truth, but rather an assumption. Say that you have a yearly goal of 40% and you achieved in 7 months, or that you have a monthly goal of 10% and you achieved it in 11 days. Do you stop trading at this point? Or do you continue trading thinking the luck is on your side at the moment? Or do you adjust your goal and continue trading with the new goal? The market will sometimes go much below your goal and to even things out you have to make as much as you can above your goal. Furthermore, the market doesn't care whether you've achieved your goal or not, it will always go its own way, and if you can make a profit on an expected future value basis, you should go for it. Luck is random, but the skill will persist. Apparently you or a colleague has it. Don't throw it out. Your answer may rest in the structure of your money management operation. If it is a hedge fund structure, then heed the following points made in a post on the hedgefundlawblog.com. If you get behind you must know how you will deal with the moral hazard. Since you are ahead greatly, then your incentive is to take the money unless you know with some certainty that you cannot fall below a high watermark and will likely increase your gains. 1) The management fee, over time, usually does not generate enough income to operate and the profitable traders expect bonuses even when the overall fund loses. 2) The winning traders will leave to other firms or will start their own if there is no performance fee gathered to pay them. 3) If fund performance goes negative then high watermark provisions normally go into action. This can lead the manager to swing for the fences or simply close shop. 4) The wind down of the fund can deplete the investor assets and lead to general price markdowns of holdings especially if others had similar strategies and exposure. 5) The fleeing investors will enter into a new fund with a new high watermark and start the process over again. Here is where the game gets interesting. The author suggests creating exotic option outcome provisions that he calls "Modified High Watermark." These include A) Reset to zero under certain circumstances. B) Amortize the losses over a period so that the manager can still earn some incentive fee. C) Create a rolling period for the high watermark so that after a time the mark level drops. His modified high watermark solutions might keep the manager from swinging when the performance fee looks too distant and might keep genuinely unlucky managers around until their skill manifests itself in due course. There's a case for reducing leverage as one's account size increases so as to reduce the 'risk of ruin', and for some this might be done in a very systematic way. Another question is if there's a point at which one's financial goals have been achieved, especially if one's dreams lie elsewhere. You did not specify if your annual goal of 40 percent is based on analysis that suggests a 40 percent return is the mean or maximum. Let me assume that the 40 percent is the maximum annual gain you have ever achieved, if only as an academic exercise. Thus the 40 percent is your quitting point based on perfect knowledge of a particular system. (1) If 40 percent is your mean annual gain, then continue to trade at the higher level. That is, if you started at 1000 and now have 1400, continue to trade the 1400. Obviously it would also be good to shorten your forecasting period. (2) If 40 percent is your maximum expected gain, then pocket the 400 and start over trading with 1000. Shortening the forecasting period is not a given in this case. Let us assume the market has a normal distribution of returns and that the probability of making a 40% return or better, at random is 15%. Then if you decide to take all profits at the 40% level then your probability of a 40% gain will double to 30%. This result follows directly from the Reflection Principle. The above assumes that your returns are random and implicitly assumes that you have no ability to predict the market. To the extent that you can predict then you should make your decision on your current outlook and not on any arbitrary price point like 40%. So, setting a goal to achieve a 40% return seems a reasonable thing to do, but I submit that this goal should be accompanied by the qualifier "or more" and be willing to let a good thing continue. Regarding the 'limiting losses' idea, in the Market Wizards interview with Jack Schwager, Paul Tudor Jones admitted to having risk control circuit breakers in place so that if he ever lost more than x% in a month he would shut down trading for the remainder of that month. Limiting and rationing losses in ways such as this seem like a reasonable discipline if one is going to set limits on how the market will affect your stake. An old floor trader's trick I learned while reporting on the futures pits is that if a trader enjoys a windfall gain on a trade, and reaches a pre-figured goal (or more), he takes half the position off the table as a positive reward for being right and taking action on that conviction. Leave the rest of the position on to collect any further gain which the market might want to provide, but he raises the stop to break-even for the remaining position (not counting the profits already taken off the table) in order that a winner would not then turn into a loss. If he stop get hit, he still has half of a windfall gain return in the bank. If the market continues in a favorable move and another windfall gain is realized, the process can be repeated. This tactic has an anti-martingale character which some more bold traders might object to. All these thoughts are mostly elaborations on the first two fundamental rules of trading: 1) let your winners ride, 2) cut losses. This loss avoiding behavior was well researched by Paul Willman and others. It is observed within traders of all levels approaching a bonus target; cutting off is generally viewed as irrational and Willman discusses how to adjust incentives to get a trader back to risk neutrality. Which reminds me more general but relevant quote from W. Eckhardt: "Since most small to moderate profits tend to vanish, the market teaches you to cash them in before they get away. Since the market spends more time in consolidations than in trends, it teaches you to buy dips andsell rallies. Since the market trades through the same prices again and again and seems, if only you wait long enough, to return to prices it has visited before, it teaches you to hold on to bad trades. The market likes to lull you into the false security of high success rate techniques, which often lose disastrously in the long run. The general idea is that what works most of the time is nearly the opposite of what works in the long run. "Gold has 'unlimited upside' because the Fed is 'confused' on policy: Trader"
I am not bearish on gold trends but don't like some sentiment indications. Stories like this are disconcerting. Once the sales traders at the institutional brokerages start talking unlimited gold prices on TV then it shows that the reflexivity experts have won. One group the reflexivity experts know about is trendfollowers. How much money will be made on 20 day breakouts versus the 20% vig the managed futures experts will pay themselves? Part of the common core curriculum should include counting bars in candlestick charts apparently. They can about percentages later. Prices have, do and will rise and fall. Gold included. Who among us can now say what the upside is on fixed income prices? Ad absurdem, if the 10 year libor rate is negative 1%, then gold will be a positive carry investment– and the forward price will be well below the spot price. Either that must happen or the arbitrage/gold lease/borrow markets will break down. What has been the economic growth of Italy while in the Euro? What has been the economic growth of Italy since the the peak of the financial crisis in 2008? How much productivity has Italy lost since being in the Euro? How large is the Italian debt? Can the ECB bailout Italian debt even if they tried? What is the size of Italian NPL's? What is the current trend in Italian politics and what events are upcoming? Is the German/European electorate willing/able to bailout Italy? Is the straight jacket of the Euro too much given both fiscal and monetary limitations? Portugal's strategy in the final reminded me a lot of a method of deception. They gave France the possession with some space but never really let them create big opportunities while they were getting ready to hit on counter attacks and free kicks. 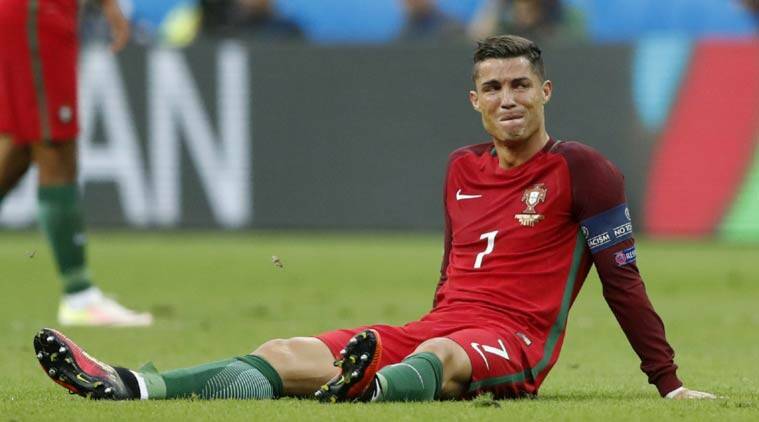 I thought Ronaldo's injury helped the strategy giving the false sense of security to France. It was the perfect deception. What is Life by Erwin Schrodinger must be one of the important books of the 20th century as it was cited by Watson Crick and Rosalind Franklin as their theoretical inspiration to discover DNA. He asks what the basis of life is from a physics and chemistry point of view. Modern physics is based on statistics and the so called laws are only averages based on the law of large numbers. This observation hit me as profound. At smaller numbers randomness rules. As an example when a gas is present at one end of a container at higher concentration it will diffuse as a result of random motion with slightly more atoms going left than right. So I read that people were holding over 7 trillion of negative yielding government debt instruments. I'm guessing the negative yields were designed to convince them to get rid of the securities, and presumably invest the proceeds in equities. Last night (Friday), some of the key players of the 1966 World Series-winning Orioles team gathered to reminisce about the magical 1966 season. There were some notable events that season. The "Here" pennant, the Ron White catch, the back to back HRs in Game 1 of the Series. It was a year the Birds flew high—and they've never been higher since. The year was worthy of any Trivial Pursuits game. Jim Palmer, the last pitcher to win against Koufax. Davey Johnson, the last hit against Koufax. Willie Davis (the "tenth Oriole"), the first player to commit three errors in in a World Series game (I recall being in the same inning, but I'm sure I'm wrong on that one). The excellence of the pitching staff in the Series. The tightness of the infield. 50 years since that season. It's not apparent today, but the 1960s, at least until 1966, Baltimore was very much a football town. The Colts had won some championships, and the stadium, looked at from above, even looked like a horseshoe. In the early-to-mid 1960s, there were some boys without a Unitas crew-cut, but not many. And one should not forget that in 1966, Frank Robinson, the man who taught the Os how to win for championship, could not find a house to rent. He was black and many landlords refused to rent to him. The videos are worth a look. Maybe not at the level of the post-game ceremonies at the closing of Memorial Stadium in 1991, but a look all the same. I just wish Frank had been there, too. There would be other notable seasons—the 1969 collapse, the 1970 Orange Crush dismemberment of the Big Red Machine, the 1971 pitching staff and the 1979 Orioles Magic team, and Cal's record. But the Birds never surpassed 1966. It seems like Alabama is a good state for kids and all to learn about paleontology. The snail was about 40 million years old, he said, just like the thousands of fossilized clams and seashells littering the surrounding bank. 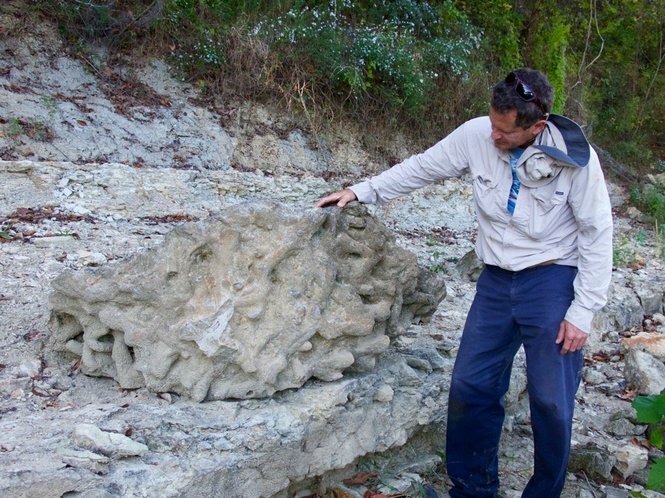 This spot, known as Claiborne Bluff, has been famous for its ancient fossils since the 1800s. But there is something else that excites Becker about the site. "These fossils in Alabama played a part in the development of Darwin's theory of evolution," said Becker, a professor at William Patterson University in New Jersey. "It all goes back to Charles Lyell." Gambling: It is legal at the national level in many countries. A notable exception is the United States. However, this may not be the case for very much longer. And investors could be the ultimate benefactors from such legislation. If a bill to allow gambling over the internet is presented and passed by the US Congress, it will have concluded a long and winding road to ratification. In 2006 the 109th US Congress passed the Unlawful Gaming Enforcement Act, with the objective to prevent online gambling for people in the United Stated. The law was written to prevent the use of certain payment instruments, credit cards and fund transfers for unlawful internet gambling, and for other purposes. This act prevented a customer's ability to electronically transfer funds to and from banks within the US to online casinos. This effectively stopped all wagers on gambling websites by gamblers in the US. The act specifically exempted fantasy sports leagues, which gave rise to the monetary online fantasy sports competitions that we all see advertised on television. In addition to the fantasy sports league exemption the act exempted all games of skill. This loop hole aided the rise of internet poker until April 15, 2011– a day deemed Black Friday by the online poker community. This was the day the 2 major poker internet poker sites stopped offering real money games to US players. It was also the day that Howard Lederer, the owner of Full Tilt poker refused to return over 400 million dollars in deposits to his players. In December of 2011 the DOJ gave the gaming industry an early Christmas present in the form of reversing the long standing policy of the US government. Controversially, the DOJ stated that all games that are not related to sporting events fall outside the reach of the WIRE ACT, that the opinion was rooted in. Since that time the executive leadership of several major casinos reversed their original positions of being against online gambling to being for it. Opting to take the “if you can’t beat them join them” approach, several but not all US based gaming companies have heavily lobbied politicians to legalize online gambling in the US at the Federal level. And the H.R.2282 - Internet Gambling Regulation, Enforcement, and Consumer Protection Act is positioned to do just that. It’s noteworthy to mention that the legislation that has been referred to congressional committee has a stipulation that only a few of the major US gaming companies will be issued licenses for these online casinos for the first few years they are allowed. It would not surprise me if the current bill passes the companies that will be issued the initial licenses are donors to the political sponsors of the bill. As expected some of the international online gaming companies are lobbying to allow ALL gaming organizations to compete for licenses in the US online domain. 888 Holdings is a world market online gaming company within the based in Gibraltar. 888s recently appointed CEO Itai Frieberger recently stated: “888 is creating an infrastructure for U.S.-based internet gaming similar to what the company has accomplished in Spain and Italy.” The major US gaming companies like Caesars Entertainment and MGM are pushing back on this request for competition implemented through congressional means. But because the there is no Amendments in the US Constitution that currently forbids internet gaming there are work a rounds. The 10th Amendment of the US Constitution expresses that anything not specifically covered in it gets referred to the States for enforcement consideration. The states of Delaware, New Jersey and Nevada have taken advantage of this and legalized online gambling. The online gaming companies in these states offers players’ access to games that are consistence with land based casino operators from the comfort of their own home or mobile device. The online gaming industry in the United Kingdom, which would likely parallel a US market, has seen exceptional growth in the last several years. And as new markets continue to open up, the growth and revenue will likely continue on this upward trend. Some internet gaming companies have even seen an increase in new depositors over 25% from previous years. If these types of results continue it is fair to assert that online gaming operators will financially benefit from the legalization of internet gambling in the US. Many of the internet gambling companies have a variety of gambling options for their players. They include online poker, casino slot games, live table games and bingo. The diversification allows the companies to reach a wide variety of players from the 21 year old online poker wizard to the 67 year old retiree, and as the competition between casinos increases a player can expect increased benefits from the casinos to ensure their player loyalty. What is consistent among all the online gaming sites is that the content that is offered to players orbits around educating players on how to play correctly. I believe by doing this the online gaming companies are striving to ensure that when players do play at brick and mortar casinos they will lose less money. This reduces the profitability of those establishments while they keep the same overhead costs. With the low overhead when compared to brick and mortar establishments, the online casinos rely volume to drive profits. And the more markets they are in the stronger the profits. As the US market expands the annual revenues yielded by online gaming companies is expected to grow. It is the position of this writer that despite moral resistance by some organizations, as well as the owners of some gaming companies, the legalization of gaming at the Federal level is inevitable. Tax rates will vary from state to state and in 2014 New Jersey collected 160 million dollars in taxes from online casino gaming operators. This fell short of the predicted 180 million dollars but the discrepancy was attributed to underestimated startup costs. This tax revenue is expected to grow, and I just cannot fathom legislators will pass on this mostly passive revenue stream. Some may be inherently skeptical of the fairness of online gaming but as renowned Gaming Law Expert, Criminal Defense Attorney and co-author of the classic text Blackjack and the Law, Robert Loeb states: “Over time, there may be certain online gaming casinos that will gain a reputation for fairness and honesty, ones that casual recreational gamblers can enjoy.” And with market organically creating third party mediation sites, thepogg.com safe guards are developing naturally. Also, free gaming analytic websites wizardofodds.com exist to ensure that the mathematical integrity of the casino games offered have been, and can be, properly evaluated. This offers additional assurances to the player. As soon as the congressional committee is able to set up regulations to protect players from actions like that of Lederer, legislation will be presented, and voted on by congress. So it seems that casino gaming is destined to expanded its reach not only to cites outside the gaming metropolises of Las Vegas and Atlantic City, but also onto our laptops, tablets and smart phones. The important doc to see, talk about, bruit to neighbors and associates afield, is Peter Schweitzer's Clinton Cash–the weapon of choice to launch at the mentally softened, perhaps unthinking, nepotistic or chauvinist-without-cause, etc., HRC voter. Seen at a private showing with a particular audience in attendance, we hoped CC would get maximal showings—whether that involves movie venues, TV, cable or other screenings in the lower 48, Hawaii and Alaska. Originating from the best-selling 2015 eponymous book by Peter Schweitzer investigation into the 1997 Clinton Foundation's alleged pay-to-play deluges of cash donations in the millions of dollars for alleged favors by the then-Secretary of State Hillary Clinton, and the concomitant spiked speaker fees for ex-President.Bill Clinton. Clinton Cash outlines the behind-the-scenes money reservoirs that fall into Clintonian hands, either directly by country leaders or organizational heads squirreling funds for favors rendered, or via the Clintons' "charitable" foundation, It's no secret these deals went largely unchallenged, despite 'creative accounting' that whitewashed and disappeared many of these windfalls that never made their way to the storm-ravaged- or earthquake- or disease-infested victims of calamity. Divulgence extraordinaire to say that the foundation set up for charitable purposes, so-called, provides a meager 10% of its available monies to actual charities; most of the bequests are actually through-lines to other, more open-handed and monitored real charities. In a sense, the Clinton Foundation parallels Planned Parenthood in that thousands of comprehensive clinics exist that provide multiple health-care services, while Planned Parenthood, reaping the annual governmental underwriting bumper crop of close to half a billion of struggling taxpayer dollars, is a thin wedge of a provider. A service provider that, were it to disappear, would make no discernible difference in overall women's "health," which proponents seem to conflate with abortion services, not a health-care concern at all. A pregnant woman is not ill. She is not in need of healthcare per se. The ancillary few services provided over abortion are easily trumped by the myriad clinics across the fruited plain. In just such a fashion, the Clinton Foundation lines its own and staff pockets, deigns to drop a sliver of its impressive foreign funding to a few chosen and often partisan recipient charities. It boasts a lot of mysterious sources in its 19-year history. The film covers the earthquake relief efforts in Haiti, various African dictatorships, East Asian satrapies, all of which somehow entertained the Clintons lavishly in one way or another, yet failed, curiously, to notice any dent or appreciable difference in the ordinary populace presumably needing benefits promised by the lustrous headliners being entertained and paid for their "advice" or "aid." As a documentary, it is adequate, but the value of the doc lies of course far beyond an assessment of just its production values and narrative fealty, lushness of cinematography or the like. Investigative efforts like this take many hundreds of hours of research, late-night toil, uncomfortable quarters, fact-checking, back-stopping and…money. It is a wonder the film—or the book—got made at all, given the many tricks up the Clintonian sleeves, and the many unexplained disappearances of unwelcome reporters or witnesses, whatevers. Understandable and SOP that Hillary acolytes and proponents will debunk or try to pooh-pooh the contents. If only a portion of the film is factual and true, the Clintons are, as Roger Stone's new book repeatedly characterizes them, epic grafters. Con-men for the ages. But most of us already knew that. Still, it is instructive to how corrupt this imperial family has been and continues to be. If one is wavering before the coming election, this is more potent, and more damning, than anything connected to Trump steaks, wine or water. Look for "Clinton Cash" from your various providers. Ask for it at your multiplex. A fascinating and by no means entirely hagiographic week of recording the master filmmaker—he wore the same shirt throughout shooting, for continuity's sake—of the some-say misogynistic but suspense-drenched filmmaker. There is much adult content, violence and sudden gore, which cut into the overall enjoyment, as did scenes involving women not being treated all that chivalrously. De Palma's recollections and powerful opinions about his film, and others' filmmaking, are worth the discomfort. No one is forcing anyone to see those films that handle women as props for bloodletting and screams. As a doc, it ranks up there with the recent "Brando on Brando"—almost mst-viewing for aficionados of the genre. Someone commented at the screening that this was a good title. Ron Suskind, a writer for the Wall Street Journal, and his wife noticed, early on, that their younger son was not functioning to age level, and seemed to be blocked off from normal routes of communication and interaction. Owen Suskind, the subject of this immersive family saga that reads larger than one family's herculean effort to rescue their child from the closed prison of autism, is a good-looking, active boy until autism makes its appearance at 3. The remarkable aspect of this family and boy's fight to become an integrated person holding a job, able to interact, and capable of reasonable assisted function for most intents and purposes as non-challenged youth do, is the 'magic.' Obsessively watching every beloved Disney 'cartoon' figures, how they speak, walk, handle crises, enabled Owen to cross-link life with how the Disney animated characters in all the garden of these much-loved films portrayed life and interactions. Autism used to be a relatively rare disorder. It has become ever more prevalent in our society, now closing on one autistic child in under 100. For most, there is no 'cure.' Its etiology and sometimes, its course is still not well understood, though progress is being made. Slowly. The film switches between soulful action-sequences in black and white drawings depicting emotional moments and transitions of the protagonist's isolation and disconnectedness, alternating with well-inflected Disney characters and voices (expertly mimicked by Owen, and which we were delighted to see and hear the zany Gilbert Gottfried in the flesh animate those characters he portrayed in the films) The Lion King, The Little Mermaid, Peter Pan, Snow White, The Jungle Book, Pinocchio and Beauty and the Beast, among his favorites, reignited, the power of speech long thought gone forever. Other needed skills accreted with showings and work with professionals and those amazing, loving parents. Disney became the tool of choice for dozens of autistic youth, presided over by a thrilled Owen in home and institutional showings. Remarkably, across the country, the same phenomenon has been noted, with youth of both genders being roused by the empathic characters in these moral tales of animals and humans. We were initially leery of seeing the film, but by the end, there was an audience full of smiling, delighted viewers, whose enthusiasm was heightened even more by the thrill of meeting the late-20s Owen and his loving, persevering family, Gottfried and some of the doc film principals.. Even without the vivacious Owen and company, the sentient adult cannot help but admire this rather amazing trajectory from darkness and shut-down to swimmingly present and functional. And the film reminds us all how fraught with adversity, crisis and obstacles everyday life is. Owen is not alone in wishing, along with Peter Pan, that he could live forever in the protected cocoon of childhood. "The emotional arcs of stories are dominated by six basic shapes"
And what would a comparable study of market stories show, and can we learn anything from literature. If you can ascertain the personality of the market then you will know its emotions and therefore its shapes. Start with the personality of the market if that isn't too far a stretch of anthropomorphism. Likewise every story has a shape. I prefer the inverted pyramid from newspaper reporting, but my mentor Art shay taught the arc of the home run to shape a story. The people driving the EU would have been for awful divorce attorneys. If you want to consummate a deal quickly, you don't stand there saber rattling. You take a deep breathe and acknowledge that there's some tough negotiating ahead that will take time. The notion that you're going to be punitive in the hope of intimidating other nations from leaving suggests a lack of understanding of human nature. (Then again, it is the EU.) Alternatively, if speed of the divorce is your focus, accepting many of the other party' demands is the way to proceed. The EU is a confederation, and as such, survives only by providing a compelling reason for its member states to maintain their membership. While the EU has its problems/limitations, it could have been reformed. That it wasn't (and hasn't had much discussion of that need) suggests that the UK will not be the only country leaving it. For the purposes of trading and harmonization of legal matters, the EU has a raison d'être. It's worth noting that you've had a sustained period when there was no fighting in Western or Central Europe. Has there been a similar period before? Perhaps between 1815 and 1870? I guess that depends on how one looks at 1848. If memory holds, home runs are a bullish market indicator and for 2016 we are on record pace right before the All-Star break. Congrats to the Orioles for breaking the June record for team homers. At this rate they could become the all-time HR team beating the late 90s Mariners. Just as media-chatter of the league's dominant pitching and the ill-effects of the defensive fielding 'Shift' on game play, the ever changing cycles come back to roost. Happy and safe 4th to all! I noticed more U Hauls in my town of late and more "Hoover's Tourists" walking through town with heavy looking back packs. My late Grandfather used to call them that. I evicted a lady who had not paid rent. Yet once I visited her she had a fridge full of beer and many packs of smokes on her kitchen table. Rented to another lady who asked me if she could pay her rent in cash. From the Washington Post: "A corrupt deal for fake security wands left Iraq vulnerable to Baghdad bomb blast"
I picked up a hitchhiker with a black Labrador in Slab City yesterday who got in the car and without preamble said, "This is the Ox-Bow Incident." I asked what he meant and he said that when he arrived in this dusty western town a month ago a guy had just shot a girl, and the townspeople ran him off his place and burned it to the ground. I reviewed the plot of the great western by Clark and found that indeed I'm living in the Ox-Bow Incident where right is defended with right and wrong is punished by the citizens. Professor Adrian Bejan of Duke University will speak at the upcoming NYC Junto meeting on Thursday July 7, 2016. He will talk about The Physics of Life. This free event is open to the public. General Society Library, 20 West 44th Street, NYC (between 5th & 6th Aves). Open discussion at 7:30 PM. The featured speaker will begin at 8 PM.